Searching the Next - Links to the main search engines. 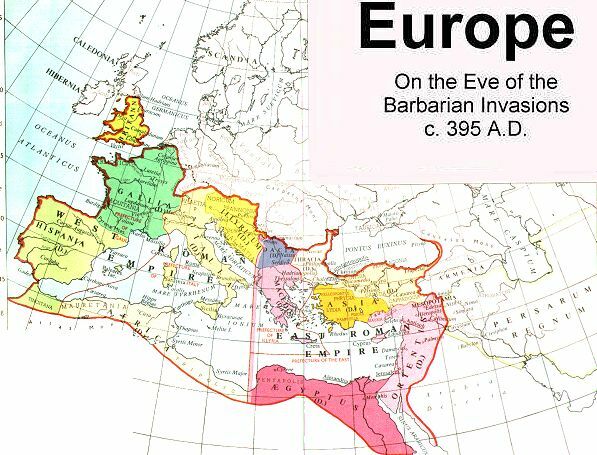 This course is an introduction to the history and civilization of Europe and the Mediterranean area in the middle ages. 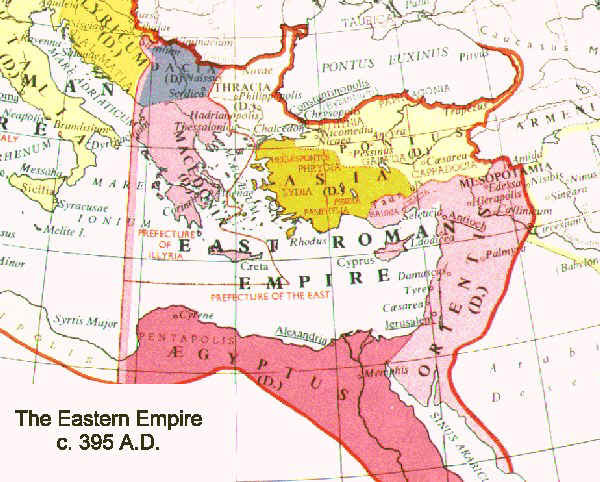 The emphasis is on the dissolution of the classical Greco-Roman world into three kindred civilizations, Byzantium, Islam, and Latin Christendom; the formation of a new civilization in the West; and the beginning of the eventual rise to world predominance of the West. ATTENDANCE: Six unexcused cuts entail an F grade. Late arrival counts as half a cut. Students are responsible for keeping a record of their own attendance. Absences are excused by: a doctor's note; a note from the Dean; a notice from the Athletic Director presented before the class to be missed. TERM PAPERS: Papers must be handed in on time, unless an extension is given. They must conform to the Stylesheet guidelines handed out separately. EXAMS: Make up exams will only be given for medical reasons. HONOR: Cheating will result in an F for any paper or exam in which it is detected. Students are encouraged to make an appointment with the instructor to discuss papers and/or issues raised in class. The Medieval Internet Sourcebook contains all of the sources in the Course Outline below and far more! In general we shall do one "class" per class meeting. To allow some flexibility, however, I will not assign classes to specific dates. You will know what to read next by where we are in the course. Lecture - Lecture notes for each class are available. These correspond in some way to what happens in class. For review purposes the topics given under each class should be used. Textbook readings in Hollister are to page numbers in Medieval Europe: A Short History, 8th ed. 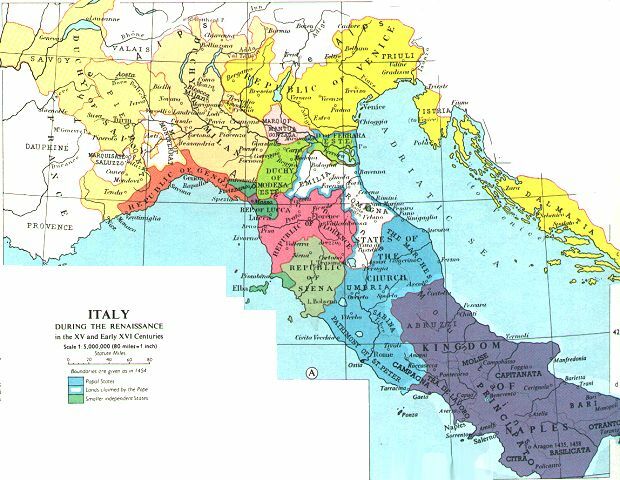 Map links to an online color map related to the lecture..
Sources are indicated by title - for instance the Passion of St. Perpetua. You can access the source simply by selecting ["clicking"] on it. All sources for a particular lecture will be available under the title Halsall: Lecture 1 (2, 3, 4, etc) the library reserve room. RED means the text MUST BE READ BEFORE CLASS. GREEN means the text is optional. References to WWW Reading refer to reading available via the World Wide Web. I expect you to show awareness of some of these readings during the semester. References to WWW Link refer to World Wide Web sites related to the class topics. Remember that a much fuller list of Medieval Links on the World Wide Web is also available. Sidonius Apollinaris: "Country House Life in Gaul" and "A Visigothic King"
Topics: The Roman World. Literature and art. Politics - civic structure of society, slave economy. Unity of classical world. Christianity - Constantine, Eusebius.. 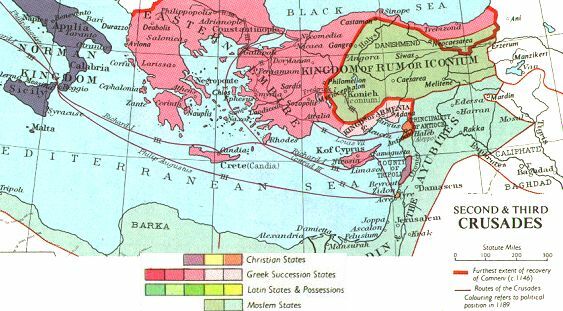 Councils - Nicea I, Chalcedon. Constantinople. Procopius: on Justinian, from Secret History. The full text of the Secret History is also available. 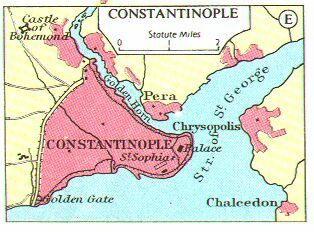 Topics: Constantinople. Church and Heresy. Justinian. Prokopios. Art and Architecture: Hagia Sophia. Ravenna. Monophysitism. Arab Invasions. Loss of Egypt and Syria. Heraklios - the Basileus. Topics: The Theme System. Iconoclasm - John of Damascus. Dark Ages. 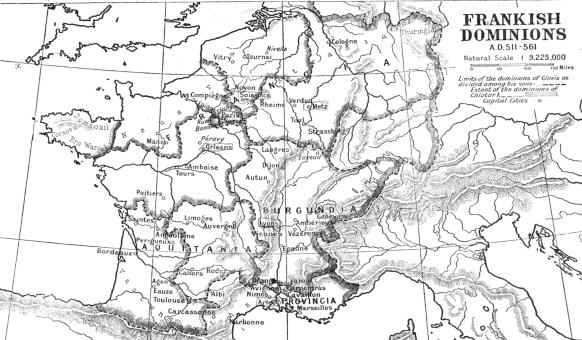 Slavic Migrations. End of the Cities. Macedonians. Church and society, Mantzikert. Class 5 - Muhammad: Prophet or Statesman? WWW Reading: Patricia Crone, Meccan Trade and the Rise of Islam. (Princeton: Princeton University Press. 1987), pp. 231 ff. Topics: Arabs. 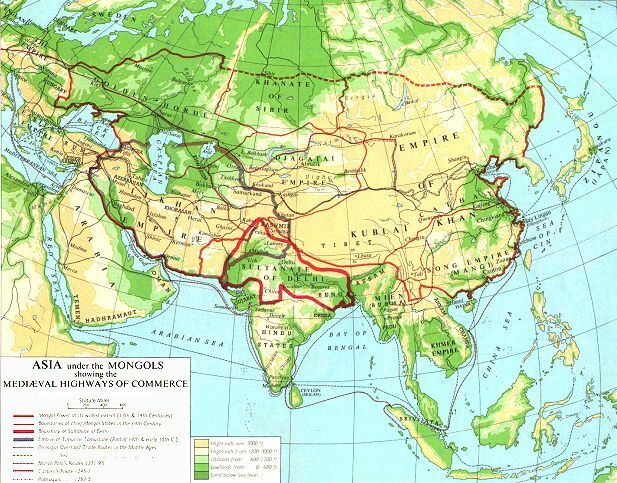 Central Asia and Trade. Muhammad. Career. The Qu'ran. Islamic beliefs - five pillars, greater and lesser jihad. Women, The calendar. The four early Caliphs. Ali - the Shia. WWW Extra: Oleg Grabar. The Formation of Islamic Art, (New Haven: Yale Univ Press, 19?? ), pp. 43- 71,.Chap. 3 "The Symbolic Appropriation of the Land"
WWW Extra: Arthur Goldschmidt, Jr. A Concise History of the Middle East. Chap. 8. "Islamic Civilization"
WWW Extra: Bernard Lewis. Race and Slavery in the Middle East, (New York: Oxford Univ Press 1994) Chap 1. "Slavery". WWW Extra: Fred Donner. The Early Islamic Conquests, (Princeton: Princeton Univ Press, 1981), pp.251 ff - Chapter VI. "Conclusions: 1. Tribe and State in Arabia: Second Essay"
Topics: Ummayyads - Muawiya. Abbasids. Nature of Islamic politics. Kalaam. Sha'ria, Spain - Cordoba. Harun al-Rashid. The Turks. Sultans. The Seljuqs. The Fatamids. 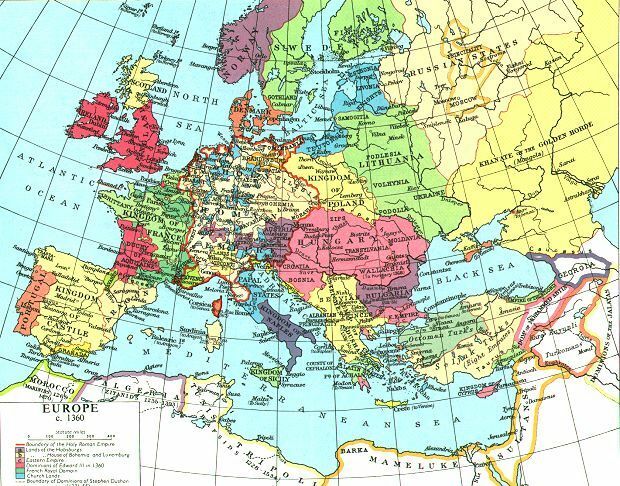 Topics: European geography. Ethnography, Germans. 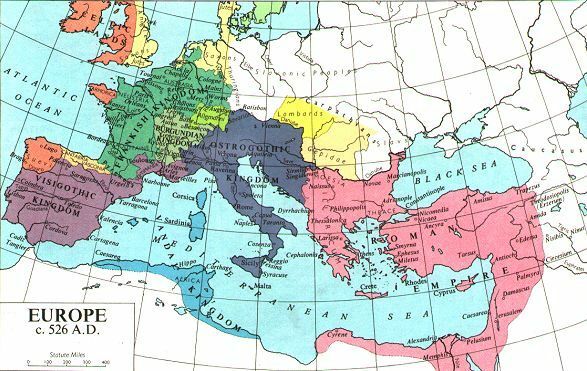 Ostrogoths and Italy - Theodoric. 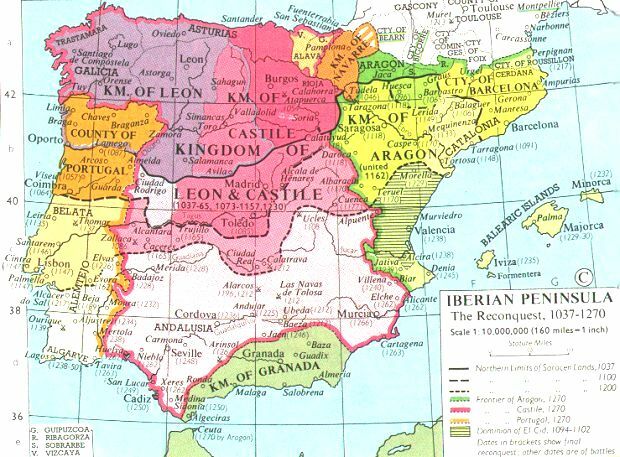 Visigoths and Spain. Vandals. 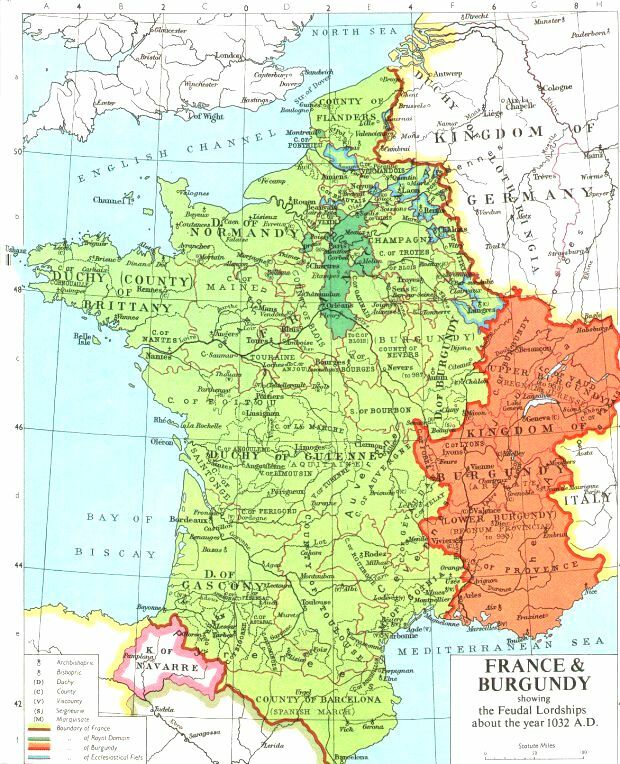 Franks and Merovingians. Clovis. Anglo-Saxons. 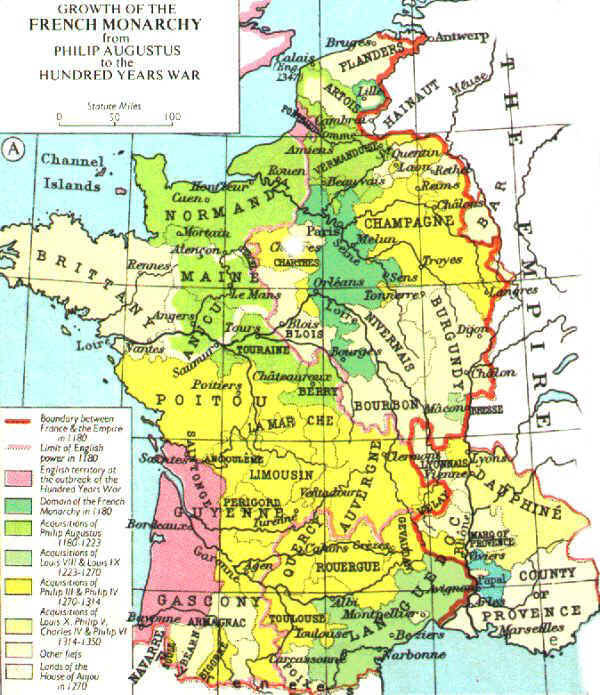 Class 10 - The Second Dissolution of the West: Vikings and Feudalism? The Annals of Xanten, 845-853, Viking attacks, and the low point of western European civilization? WWW Reading: John Sloan, The Stirrup Controversy posted on discussion list mediev-l@ukanvm.cc.ukans.edu on 5 October 1994 as part of the thread "The Stirrup Controversy." 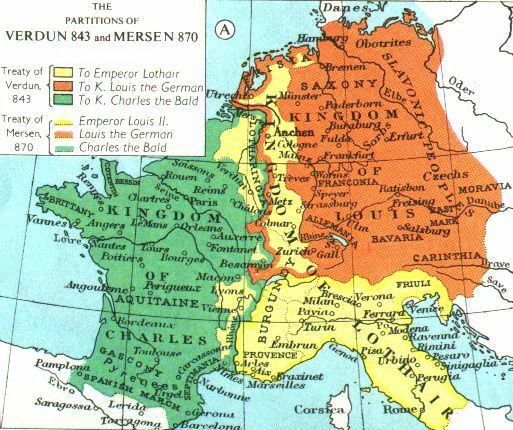 Topics: After Charlemagne - Verdun, Mersen, Lothar. Vikings. Feudalism?. Demography. 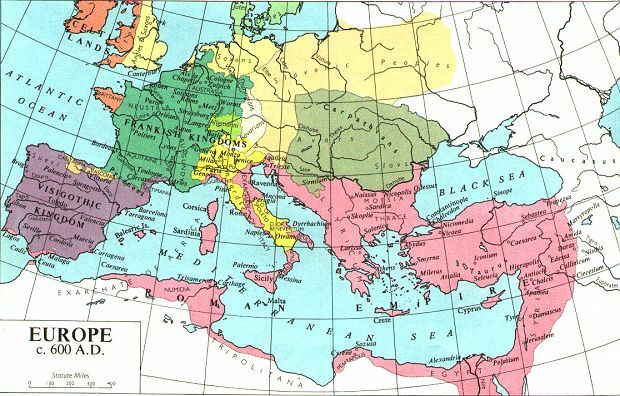 Early Medieval Economy. WWW Extra: Kristina Lerman, " The Life and Works of Hildegard von Bingen (1098-1179)"
Topics: The year 1000. 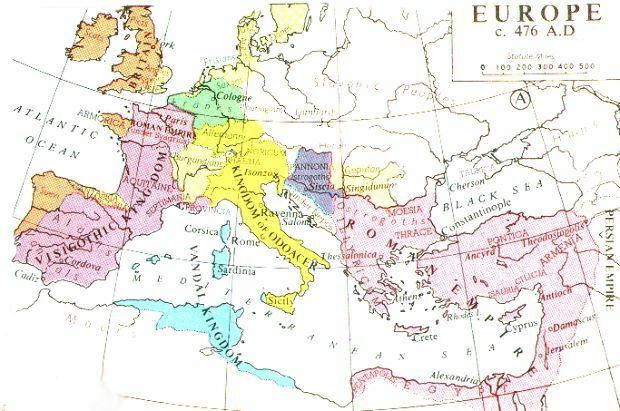 Ottonian Germany, Italy, England, Cluny. Cistercians - St Bernard. Carthusians. WWW Link: Wharram Percy Page Wharram Percy is a deserted English Medieval village. Topics: Agriculture. Commerce. Nature of Medieval Economy - Cloth trade. Growth of Towns. Italy. 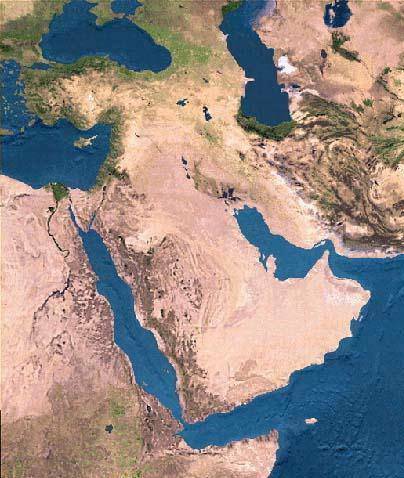 The Mediterranean and Atlantic. 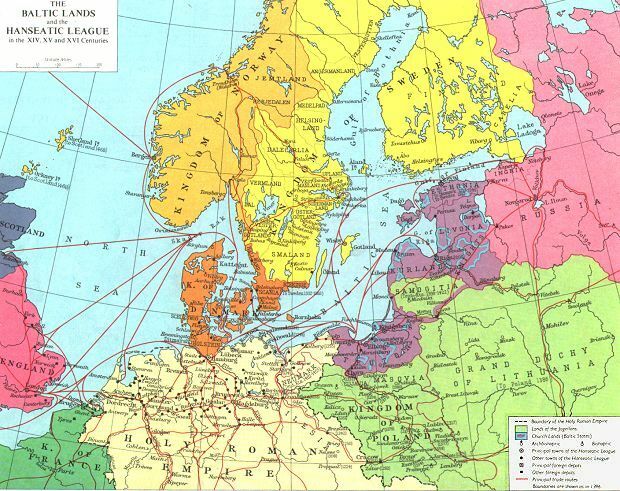 The Baltic - Hanseatic league. Problems with Credit. Contribution of Jews. Topics: Idea of Reform. 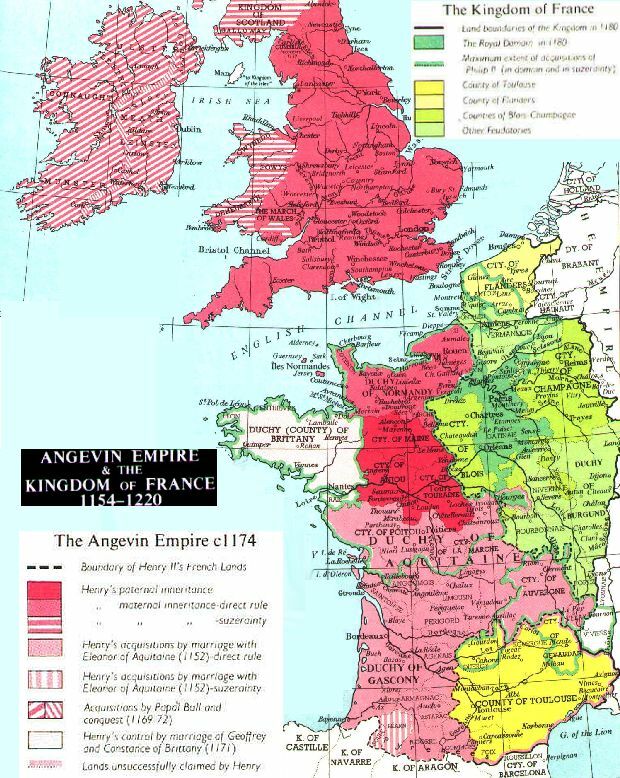 Gregorian reform or Gregorian revolution?. 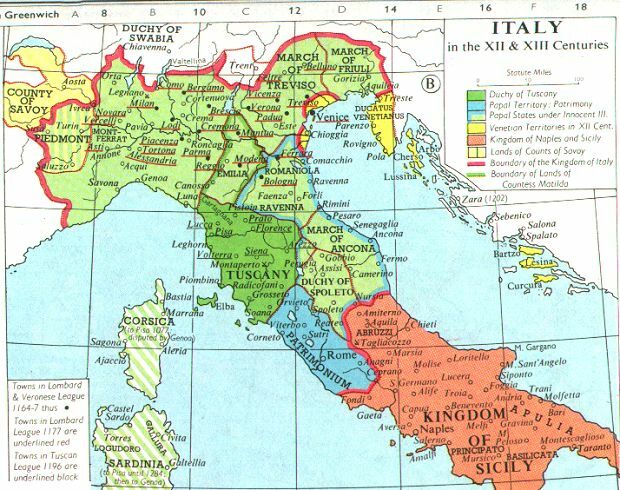 Papal government - Gregory VII, Urban II. Canon Law - Gratian. Struggle with Empire. Idea of Christendom. WWW Extra: David J. Wasserstein. The Caliphate in the West, (Oxford: Clarendon Press, 1993), chap. 1. 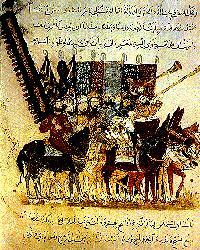 "The Caliphal Institution in al-Andalus until 422/1031"
WWW Extra: J. J. Saunders. A History of Medieval Islam, (London: Routledge, 19?? ), chap. 9. "IX The Turkish Irruption"
Topics: Iconoclasm. The Macedonian Renovatio. Conversion of Russia - Kiev. 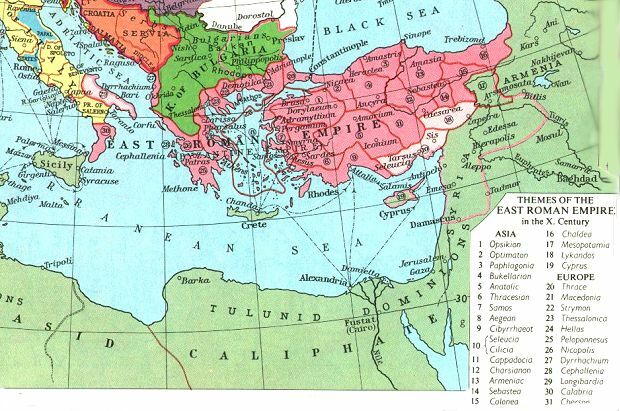 11th-century Collaps - Psellos. The Komnenoi and the Crusades - Anna Komnena. Abbasid Break up, Iran, Tahirids, Fatamids, Turks, Seljuqs, Collapse in 1092. 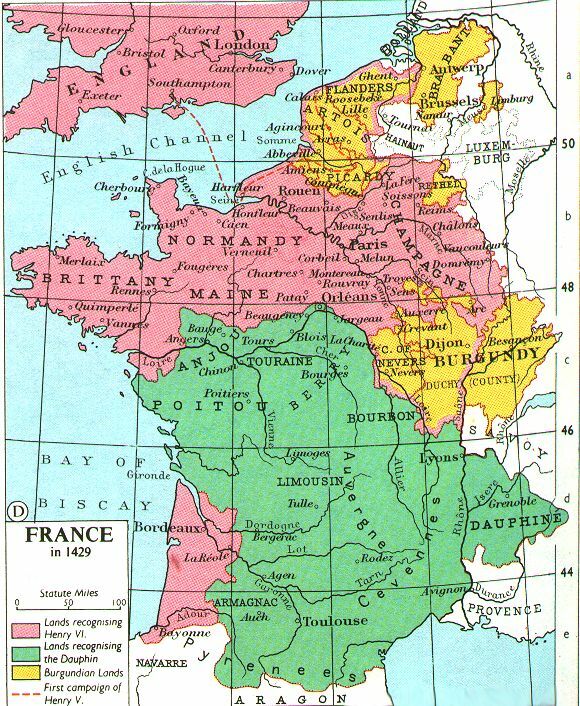 The Decline of Christian Power in the Holy Land, 1164, Letter from Aymeric, patriarch of Antioch, to Louis VII of France. 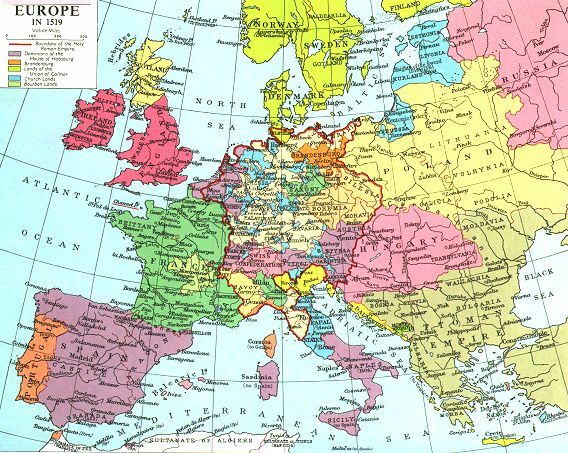 Topics: European Expansion. 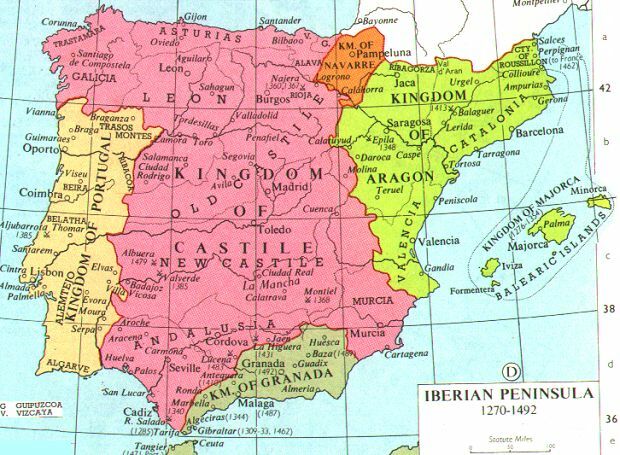 Spain - Reconquista. Peace of God. Truce of God. Normans. Fatamids. Byzantium. Jerusalem. First Crusade. 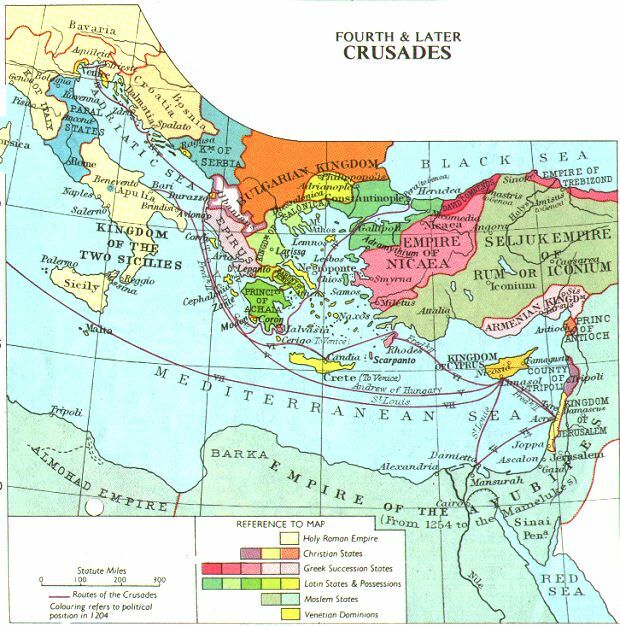 Later Crusades- Richard I, Saladin . Anti-Semitism. 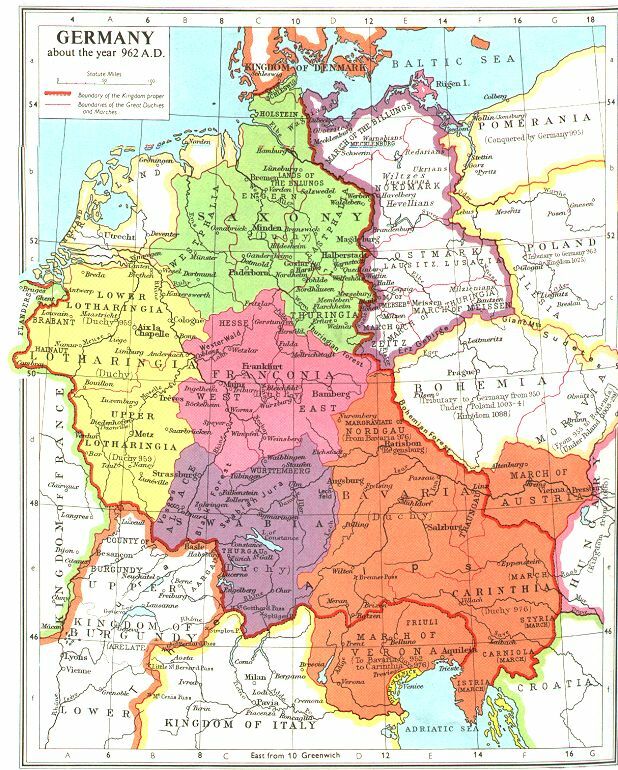 German Drang nach Osten. Topics: The Roman Church. 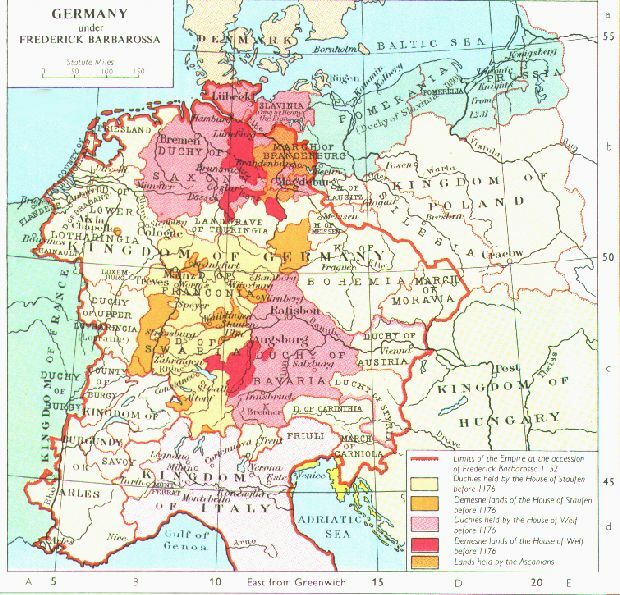 The Holy Roman Empire. Innocent III - Fourth Lateran Council. Frederick I Barbarossa. Frederick II. Boniface VII. Topics: Change in "Feudalism". 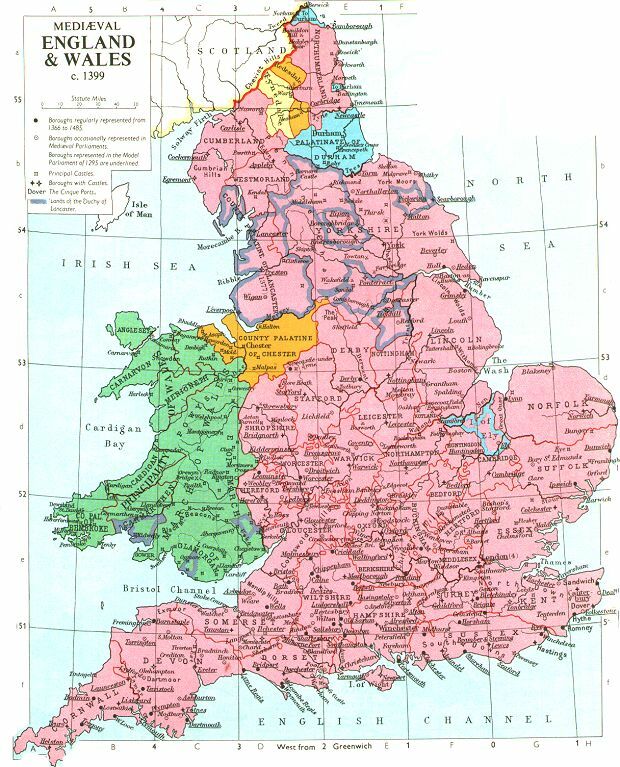 England - William I, Domesday Book, Henry II, Magna Carta, Parliament. France - Capetians, Louis VII, Philip II Augustus, St. Louis. Normandy. Notions of Kingship. WWW Link: Laxton Village Survey A web page on an English village which preserved open field farming until the 1930s. Topics: The Aristocracy. Chivalry. Political Power. Literature - Epic, Romance, Lyric . Chaucer. Peasant life. Diet. Mortality. The Manor. Variety of patterns. Topics: Popular Piety. Sacramentalism. Intellectual response. Eucharist. The Host. Confession. Marriage. Indulgences. Mary, Saints. Topics: Italy. Cathedral Schools. Universities. Paris. Methods. Universals. Neoplatonism and Faith. Aristotle. Aquinas. Angelo Clareno, a spiritual Franciscan, on Torture, early 14th Cent. Topics: Critical societies. Intellectual and popular heresies. Cathars. Albi. Waldensians. St. Francis. Franciscans. Dominicans. Inquisition and persecution: heretics, Jews. Topics: Gender in history. Women and work. Women and power. Women and Religion. Women and Children. Varieties of Marriage, homosexuality? Topics: The Cloisters. Religious Art. Romanesque - Durham Cathedral. Gothic - St. Denis, Notre Dame. Late Gothic. Humanisation of Christ in Art. Secular Art. Symbolism. Topics: The Comeneni. Russia. 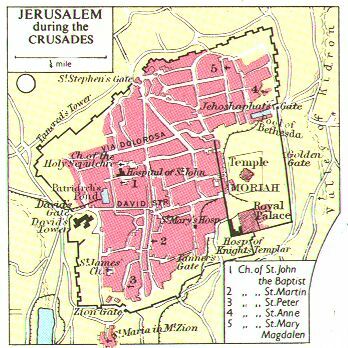 The Crusades. 1204. The Paleologoi. Palamism. The Turks. End of Constantinople. Survival of Orthodoxy. WWW Reading: Hadia Dajani-Shakeel. "Some Medieval Accounts of Salah al-Din's Recovery of Jerusalem (Al-Quds)" in Hisham Nashabe (ed) Studia Palaestina: Studies in honour of Constantine K. Zurayk, Institute for Palestine Studies, Beirut 1988. WWW Extra: Seyyed Hossein Nasr. Science and Civilization in Islam, (New York : New American Library. 1968). "Introduction". Topics: Arabs and Turks. Saladin. The Mongols. Sultan Baibers. Ein Jalut. The Mamelukes. Anatolia becomes Turkey. The Ottomans. Closing of the East to Europe. Giovanni Boccaccio: Decameron - Introduction, on Black Death, There is another version available. 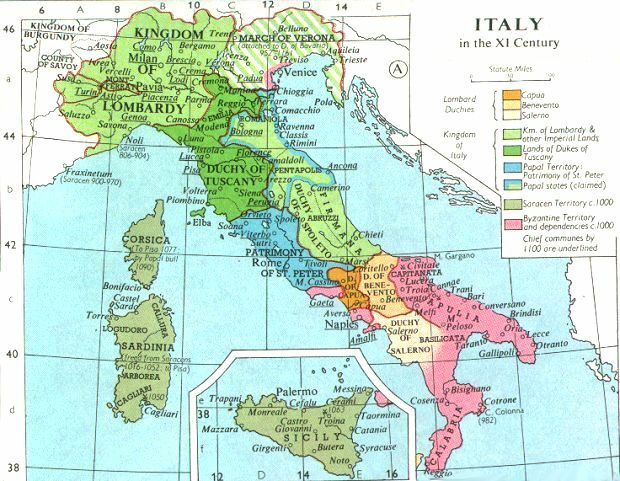 WWW Extra: Pistoia, "Ordinance for Sanitation in a Time of Mortality "
Topics: Late medieval economy, The Black Death, Population effects, economic effects. Popular religion. Indulgences. Elaboration. Images of death. The Hierarchical Church. New heresies. Topics: The Empire. 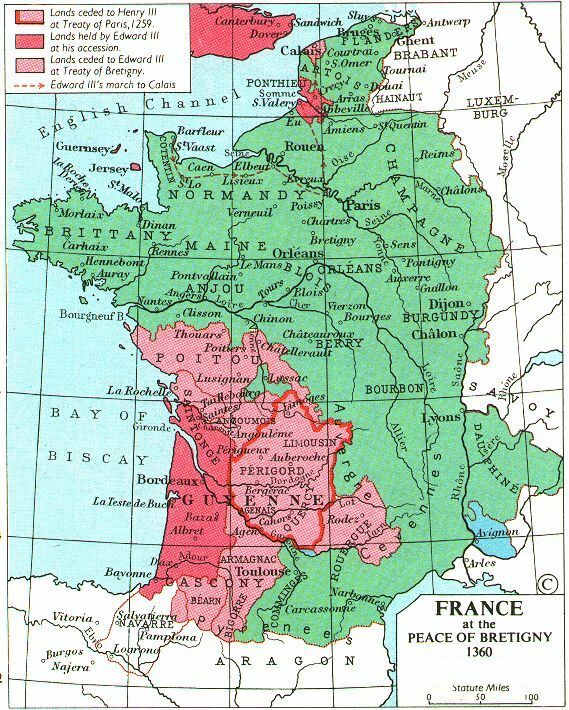 France and England. 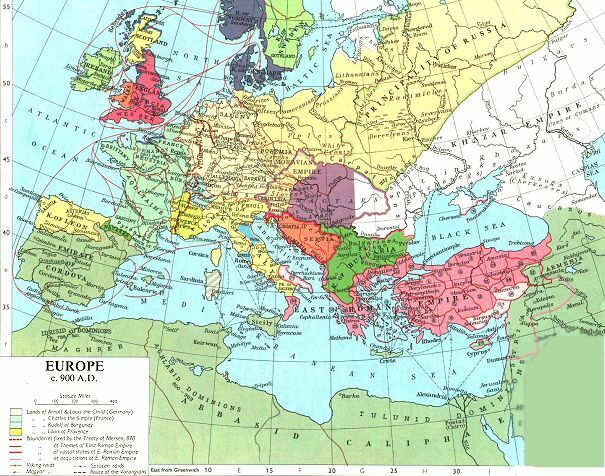 1453- Fall of Constantinople, 1485- Bosworth Field, 1492- America, The Renaissance. The Reformation. 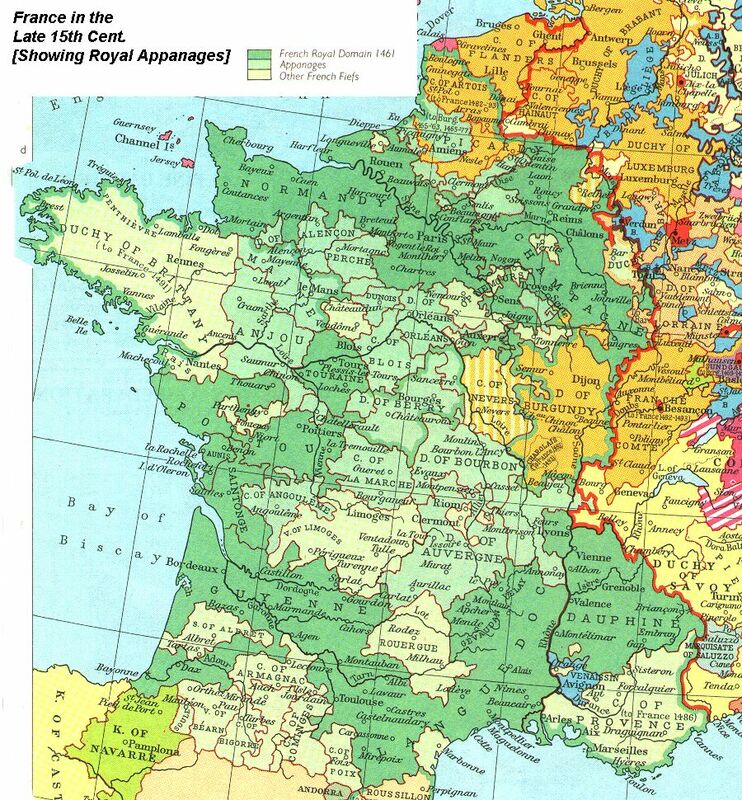 The Treaty of Westphalia 1648? The Web is so vast now that it contains more, and more diverse information, than any single printed source. This availability of information will only increase and is a truly splendid new tool to help in your research. To use the Web efficiently, the various search engines are essential. These now come in two forms: Limited Area Search Engines [LASE] and Wide Area Search Engines [WASE]. In either case it is important to form your query words as clearly as possible. For instance, if you are interested in finding information on a particular musician, do not search for "music", but for a style [eg "jazz" or "gregorian chant"] or even a name ["abba", "charlie parker", "hildegard"]. ARGOS is Limited Area Search Engine which only returns information on Ancient, Byzantine and Medieval documents/sites on the Internet. The search area is determined by a board of associates and is based on some the of the best-maintained links pages on the web. 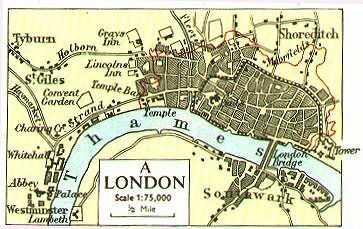 The Medieval/Byzantium links collection associated with this page is one of the associate sites. Input your search words below, and hit ENTER. HIPPIAS is Limited Area Search Engine which only returns information on philosophy resources on the net. Input your search words below, and hit ENTER. Wide Area Search Engines Here are links to the best "wide area" search engines on the Web. Yahoo is best, I think, if you are looking for specialized websites. Lycos, Excite, and Hotbot all index many more documents. These engines will always turn up more references, but far more will be dross than with Yahoo. It is useful to start with Yahoo since it has a nice feature - once it tells you everything that it has found, it will automatically plug you in to the other search engines. As the WWW has grown these wide area engines have become more difficult to use. Searching for "Plato" for instance, will return more "hits" than one could possibly read in a lifetime. For this reason it is best to start searches for Byzantine and Medieval subjects with the "limited area" ARGOS search engine. Yahoo: The best guide to web sites.